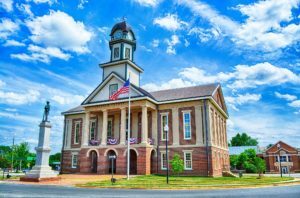 Located in Chatham County, Pittsboro is the county seat and an emergin community in the Central North Carolina region just south of what is commonly known as the “Triangle” or “Research Triangle” of North Carolina. Stepping Stones ABA is proud to call this area home! Just 17 miles south of the University of North Carolina at Chapel Hill and about 34 miles west of Raleigh, the town of Pittsboro relies heavily on commuter income for its recent growth and development. Pittsboro is home to the Chatham County Government, the Chatham County Justice Center, and many non-profit agencies and other social service organizations. Pittsboro is also a Certified Retirement Community. If you live in Pittsboro and believe your child is in need of a trained ABA therapist, please contact us by phone, 919-810-1459, by email rebecca@steppingstonesaba.com, or by filling out our contact us form to the right.